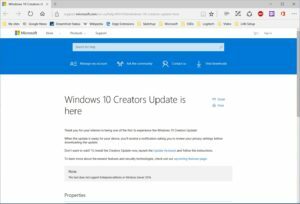 Here’s another PC World article: Inside the Windows 10 Creators Update: The 17 best hidden features. Yesterday, the Windows 10 Creators Update finally arrived for one of my cheaper notebook PCs. Left the PC running all day trying to get the May W10 updates to install. 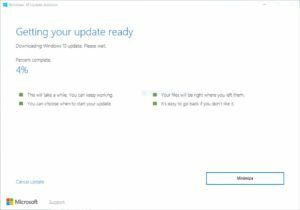 The 2017-05 Cumulative Update for Windows 10 Version 1607 (KB4019472), which had taken 2 or 3 tries on some other PCs, was the issue. Sometimes the PC was unresponsive to opening the Settings window; so, logged off and back on, which helped. Later there was a “review your privacy settings” update window (which occurs before the “Feature update” is downloaded). 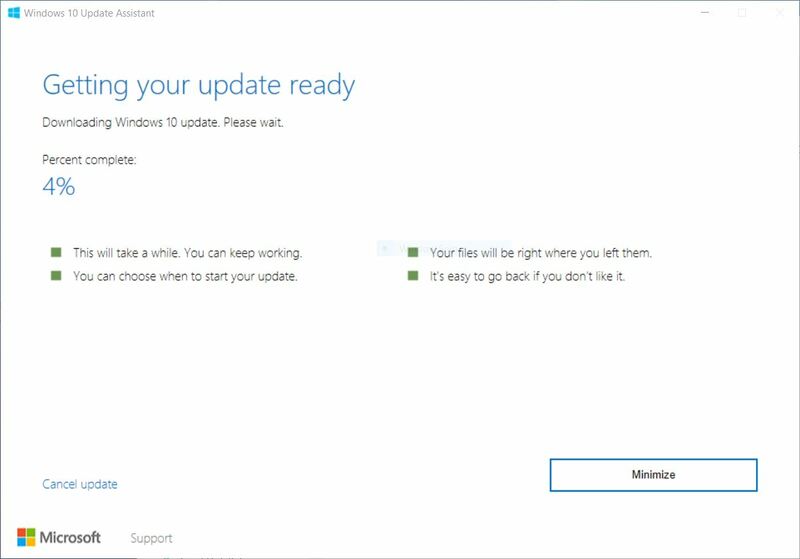 Then late in the afternoon, Task Manager showed a new process “Modern setup” and the Settings > Windows Update > Update status showed that the Cumulative Update AND the “Feature update to Windows 10, version 1703” finally were ready to install — “Restart now” button. 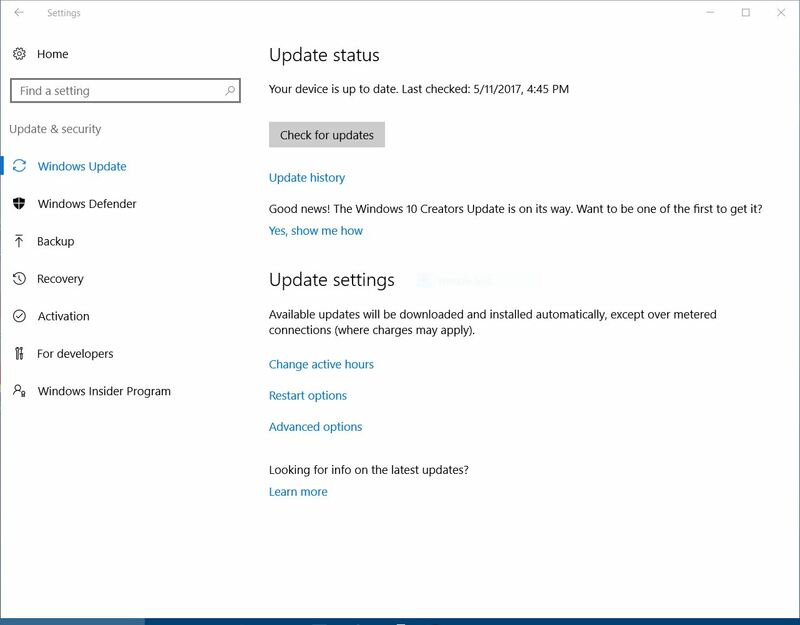 The Windows 10 Creators Update installation started around 6:40 pm and finished around 8:55 pm. 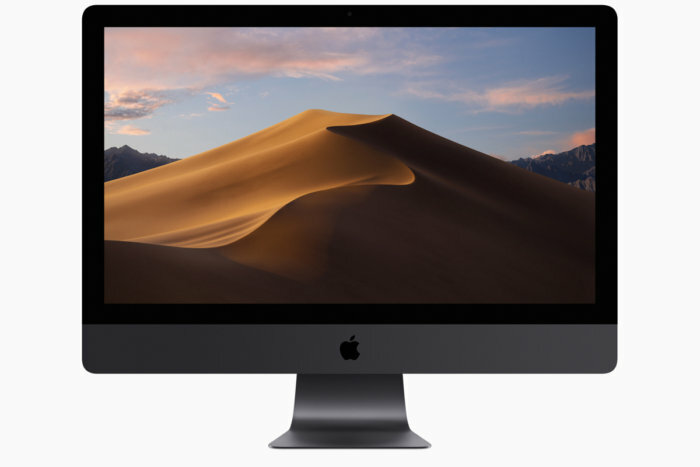 The processing was similar to prior Windows 10 upgrades, including the “almost done” screens before finally displaying the logon screen. 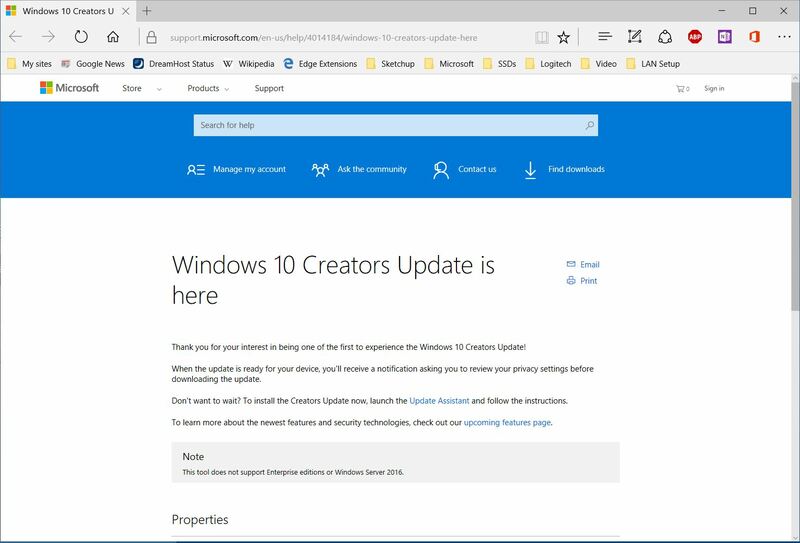 After the desktop loaded, a “Welcome to the Windows 10 Creators Update” window was automatically loaded in Edge. 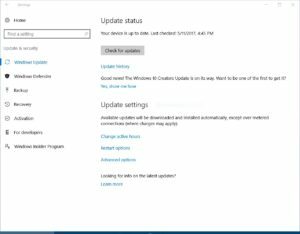 5-17-2017 note: On an i7 desktop PC with powerful GPU and SSD, manually installed the Windows 10 Creators Update this morning (vs. waiting for that to happen via Windows Update). Much faster than on slower notebook PC: download took around 30 minutes and installation less than 30 minutes. After the refresh, I noticed that Microsoft did me the very unhelpful favor of removing the Control Panel in the WinX power user menu that appears when you right-click Start or tap the Windows key + X keyboard shortcut. The Control Panel was replaced, of course, with the Settings app. I understand that Microsoft is slowly moving the Control Panel’s functionality over to Settings. Even so, the Control Panel is still very necessary, and I’d much rather have it in the WinX menu than Settings right now. Here’s how to switch back. 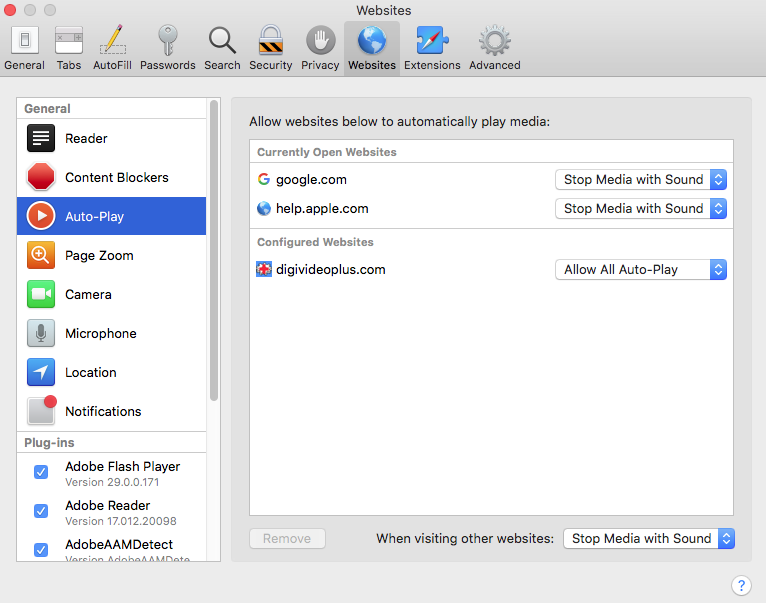 While the article explains how to restore the Control Panel to that shortcut list, the procedure is quite technical. Personally, since I don’t use that quick shortcut often, I find that just hitting the Windows key on the keyboard and typing “Control Panel” and clicking on that item in the search results — that’s convenient enough.